142 pp, 9.5 x 7 in. 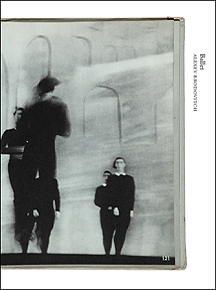 Alexey Brodovitch's Ballet published in 1945 is one of the most legendary of photobook masterpieces. While already established as a leading influential art director and graphic designer, Brodovitch turned his photographic talents towards rehearsals and performances of ballet companies visiting New York stages. 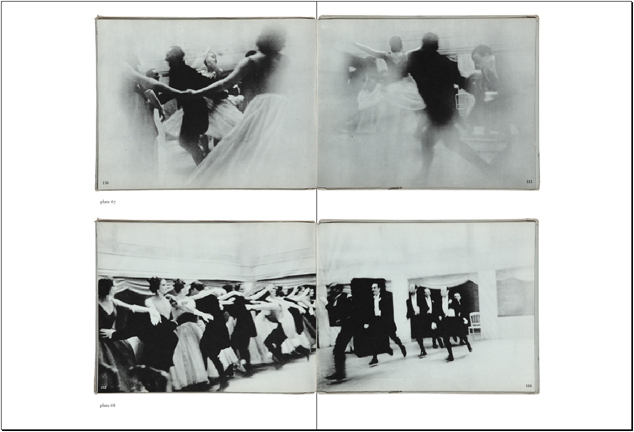 Shot in 35mm and disregarding traditional conventions of "good" technique, Brodovitch pushed the boundaries of description to create a panorama of images that perfectly captures the motion and spirit of dance. Books on Books #11 reproduces every dynamic page spread from this rarely seen volume along with a contemporary essay written by leading Brodovitch scholar Kerry William Purcell.